Single and ready to mingle? HeySugar! has got you covered - in the real world | Eat. Play. Drink. Cape Town. TIRED of superficial and unsuccessful dating services that rely on machine-generated algorithms and social media activity to “match” real people in an unreal, web-based world, HeySugar! founders Bianca Louw and Kerry Ferreira believe real people should have real opportunities to make real connections at safe and fun events hosted in the real world. The vintage-loving pinup girls are old-school romantics at heart who believe chivalry doesn’t have to be dead. “We’ve both experienced the ins and outs of digital dating and decided to draw a line in the sand with our #ditchdatingapps motto,” says Bianca. Using a confidential database of members, HeySugar! designs themed speed dating and social events for singles in Cape Town CBD. “Our aim is to eventually host events across the greater Cape Town area and eventually break into other cities across South Africa,” says Bianca. The event series Casual Encounters – a fun spin on the Close Encounters movies from the ’70s – was born out of a need to create a safe space for singles to meet other singles who are serious about dating where they won’t be harassed by the “party crowd” or people only interested in hookups – something that has become almost synonymous with dating apps, says Bianca. Casual Encounters v1, which takes place this Saturday, August 25, at A Touch Of Madness in Obs, is a relaxed yet fun introduction to the series. “The venue is a beautiful old Victorian house that’s been converted to a restaurant. It’s a favourite for locals in Obs because of its homey charm and we chose it for this reason,” says Bianca. “We know how intimidating dating events can be and we wanted a venue where people could arrive and feel relaxed and ‘at home’. On arrival people can expect a relaxed atmosphere, and a good variety of delicious food and drinks at affordable prices. “The venue is divided into several rooms of which we will use the majority. There will be a lounge room with a fireplace, a small dance floor area and a smokers-friendly outside courtyard romantically lit by fairy lights. Each area creates a space for whatever people feel like doing – whether they are introverted or extroverted, there will be a space for them to interact comfortably. 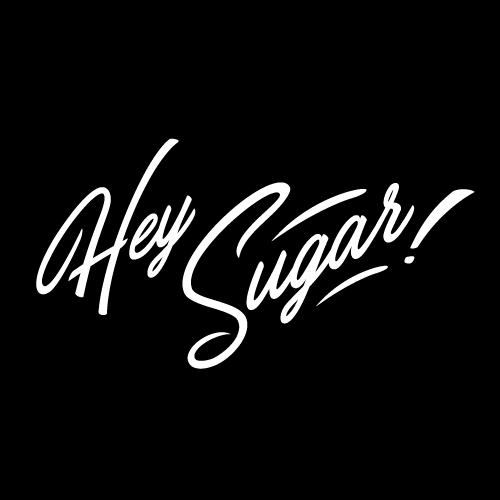 Since launching earlier this year, HeySugar! has been warmly received, with people being keen to ditch the dating apps and find an alternative. “The problem that we are facing, however, is that due to the market being so saturated by the use of dating apps, people struggle with the idea of going to a singles event as they think it might come across as desperate, which is quite ironic because in our minds being on dating apps was once seen as a desperate way of meeting a partner and now the tables have turned,” observes Bianca. HeySugar! has more than 600 members, it’s free and sign up is easy; just go to the website and fill out the form on the home page. You’ll receive an email to confirm your membership and on the second day after registering you will receive a demographic survey to fill in. “This information stays completely confidential and is only used for internal purposes of making sure the person fits our target audience. It also helps us curate better events for our members based on the collective data,” says Bianca.